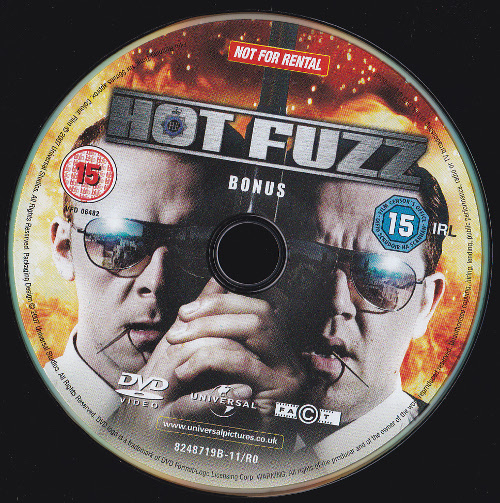 Special Edition UK DVD release of the feature film Hot Fuzz. This movie includes Here Come The Fuzz by Jon Spencer and the Elegant Too which was written for and about this film and appears on the soundtrack. Hot Fuzz director Edgar Wright posted a picture of himself and Jon Spencer at the Heavy Trash show at The Lexington, London on 16 September 2009 on edgarwrighthere.com. 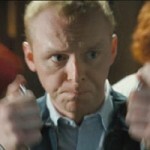 “When top London cop, PC Nicholas Angel (Simon Pegg), is reassigned to the quiet town of Sanford, he struggles with his seemingly crime-free world… and oafish partner (Danny) Nick Frost. When several grisly accidents rock the village, it’s not long before Danny’s dreams of explosive, high-octane, car-chasing, gun fighting, all-out action become reality!